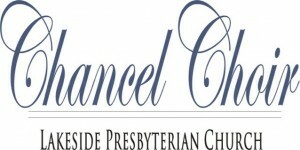 Chancel Choir is composed of men and women who want to serve the Lord with their voice. The choir sings the introit and anthems for Sunday Worship and also sings for seasonal services throughout the year such as Ash Wednesday, Maundy Thursday, and Christmas Eve. Chancel Choir rehearses on Thursday evenings at 7:30 p.m., September to May and then on Sunday mornings during the summer. This hand bell choir performs about five times during the year. Each ringer is personally responsible for the precise execution of their part, so they must possess a high level of independent musicianship in order to make the music occur seamlessly. These members rehearse weekly on Thursday evening at 6:30 pm. Tuning Faith This class meets to discuss anthems, hymns and scriptures that are used in service. Examination of the music and text is done in a greater depth than is achieved at the choir rehearsals. Various classes will be offered during the program year. Stay tuned!